Do you try to eat organic? Do you avoid hazardous chemicals? Do you know the quality of the air you breath? According to the EPA, we spend up to 80% of our lives indoors. To make matters worse, indoor air quality is often found to be 2-5 times worse than outdoor air. Even medical professionals and health insurance companies are starting to recommend Indoor Air Quality (IAQ) evaluations to help diagnose chronic illnesses. Wise Home Energy uses a few of the most accurate air quality monitors to test a variety of IAQ pollutants. 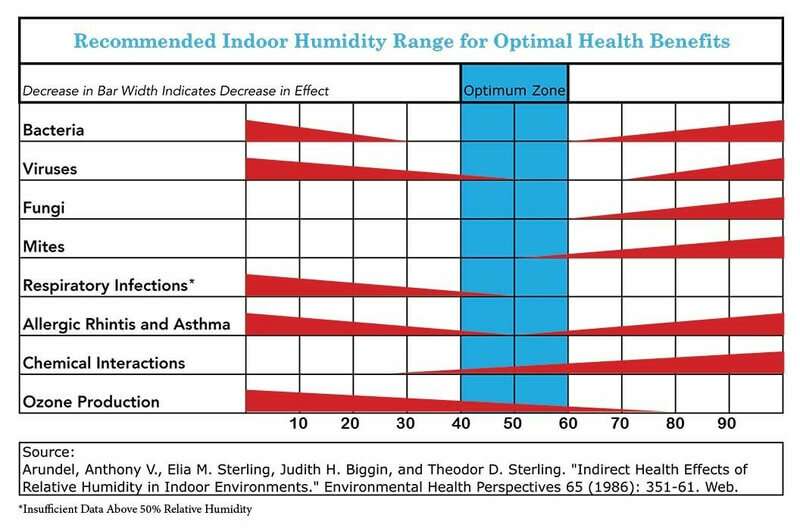 With this information we can recommend solutions to create a healthy indoor environment for you and your family. Pollutants we test for include: carbon dioxide, carbon monoxide, volatile organic compounds (VOC’s), particulates, humidity and temperature. We can obtain instant test results, follow multiday IAQ trends or monitor your homes IAQ for months. Not only will we recommend solutions to create a healthier home, but we can test and prove that we were able to achieve our goals. Ask for a 30 minute instant air quality test with your Wise Home Assessment at no extra cost. Humidity levels should be kept between 30% and 55% during the heating seasons.